Whenever I hear anyone scorn the idea of Valentine's Day I always liken them in my head to the Grinch that stole Christmas. I'm a sucker for holidays, especially one that celebrates love. Growing up it wasn't only an opportunity to show adoration to a crush, but also my friends and family. My mother and I would always stay up late baking cupcakes for my class and creating pain-stakingly cute Valentine's Cards for all of my classmates and extra special ones for my few close friends. These traditions have carried me on into my adult years and I love a day that serves as a reminder to love and cherish your relationships romantic and platonic alike. I've always found the idea of Gift Guides helpful but slightly impersonal. At the end of the day it's the thought that counts and your loved one should know it's the gesture more than the gift that counts. That's why below you'll find my grooming and beauty products of choice this season to help your loved one love themselves just a little more. Just as Ru Paul says, "If you can't love yourself, how in the hell are you going to love anybody else." Remind your loved ones to check in with themselves and indulge in a little self-care. But if you're in a squeeze and want something to make friends and lovers feel special make them something. I LOVE to bake and this year I decided to customize my own cake using simple, grocery store ingredients. Enjoy! A lot of the products I recommend I understand might be out of certain budgets and price ranges. 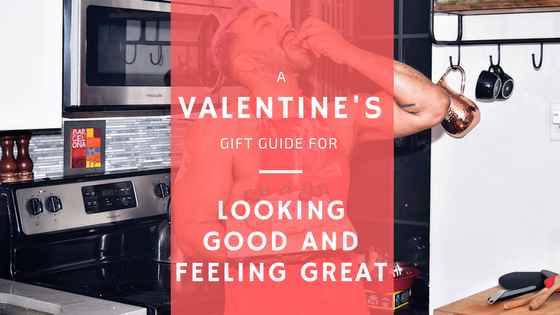 Valentine's Day is a perfect opportunity to splurge on yourself or a special person in my life. Great skincare can sometimes come at a premium cost so take this as a time to try something new that will be effective for your skin or hair concerns. These are two gift sets from two of my favorite brands but don't forget to look around the site at my other posts for skin and hair gifting ideas! Natural Deodorant. 2.6 fl. oz. On my Instagram under the Grooming Story Highlight, you'll find a quick how-to and review of Blackwood for Men's Cooling Clay Wash. OBSESSED! It's an incredible cooling face wash that gives my skin a quick detox in the shower. The brand has many Gift Set offerings but my favorite is the "Walk of Fame". 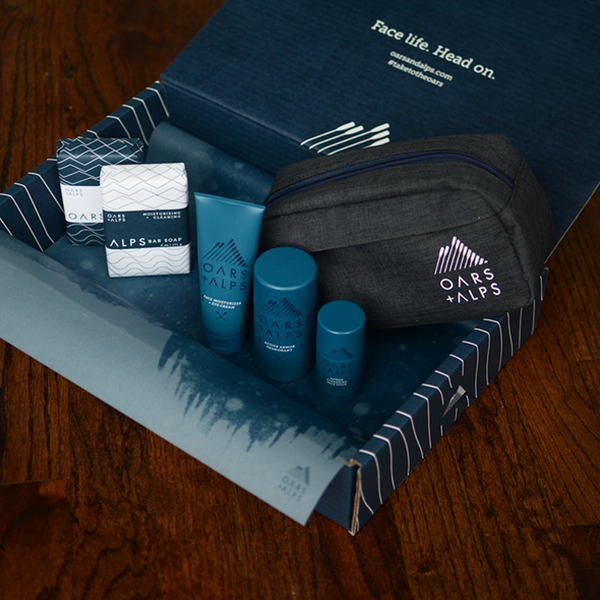 It includes Gift sizes of Pure Moisture Body Wash, BioNutrient Foaming Face Wash, Cooling Clay Facial Wash plus a genuine leather Signature Dopp Travel Bag. For slightly more kitsch and a hint of kink check out MCE Creations. Their appropriately designed sweatshirts, t-shirts, and hats mix a branding cocktail or current millennial speak with timeless, familiar designs. Well made and soft to the touch these two sweatshirts are my fave. Whenever you bake, it's usually for an occasion or for someone in particular. Baked goods are also great if you're on a budget or in a time crunch! This year I made a cake that didn't take me much time at all and with ingredients and supplies I was able to get at my local grocery store. 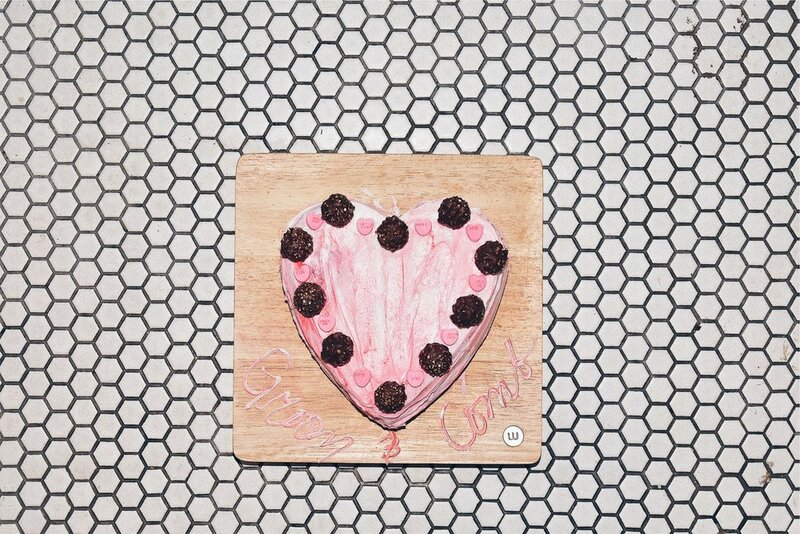 I found a heart shaped tin and all of the candy to decorate at a local drugstore and before I knew it I had a customized cake made with a ton of love that you can share with one or many. Let Valentine's Day serve as a reminder to love yourself and others and accept those for they are. My husband provides me an unending amount of love and support but so do my friends, family, and colleagues. Reach out and say "I love you" to those you care about most and remember to look inside and also learn to love yourself. The world will be a better place for it.